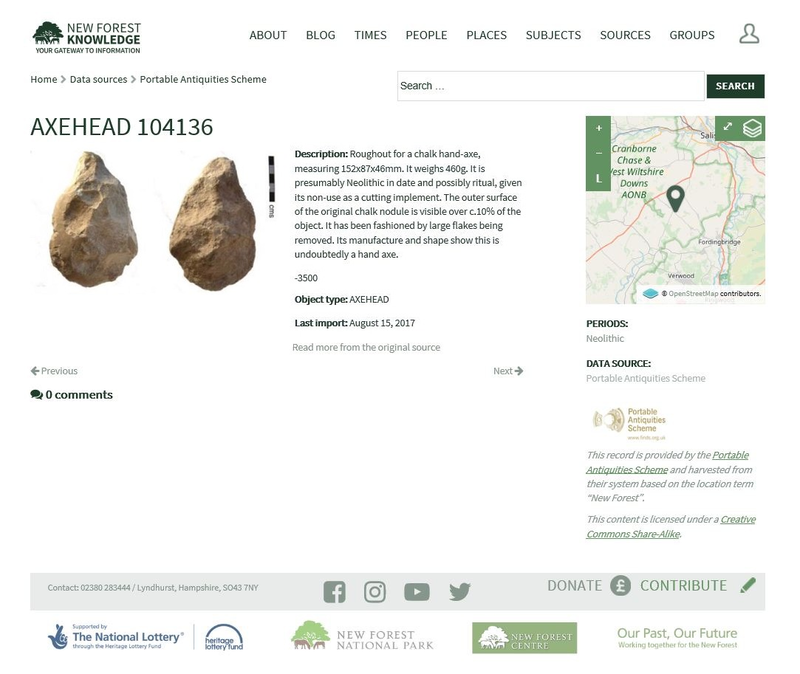 An Item Page shows the information recorded for an item, and results from you clicking on the item on a List Page, or clicking in a pop-up box on a Map. 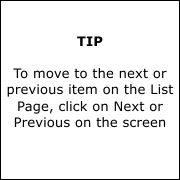 For each item, an image is shown if one is present, followed by the textual information about the item. If multiple images are available for an item, they will be shown in a gallery and can be selected from it. Clicking on an image will result in it being enlarged. The enlarged image can be zoomed by clicking the – and + magnifying buttons at the top of the image, and enlarged to its maximum size by double-clicking the image. The image can be moved to see the part in which you are interested by clicking on the image and holding the mouse button down as you move it. If the item has a map location, a thumbnail of the Map is shown at top right of the page, showing the location. Click on the enlarge/reduce button to see the map full size. For more on Maps, see the Map Page section. 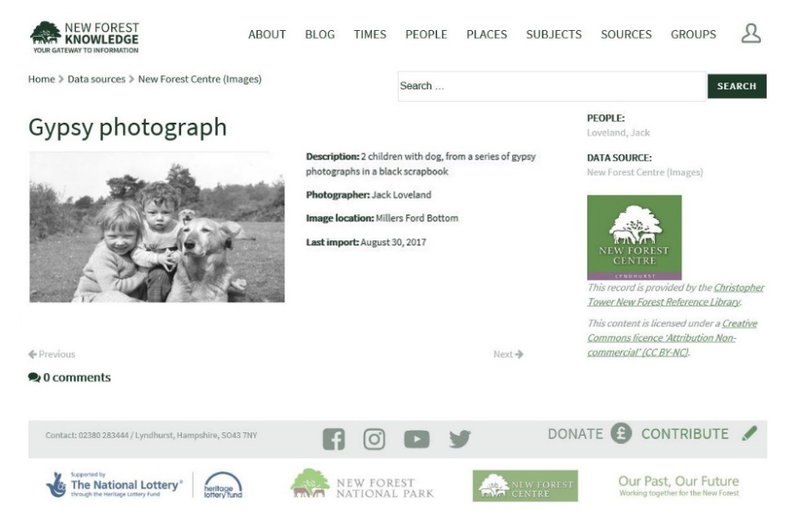 At the bottom right is shown the source of the data and copyright information. This option, if available, can be selected to link to the website of the data source to allow you to access more information. Comments people have made on this item can be viewed by clicking Comments. To find out how to add your own Comments, see the Making Comments section.